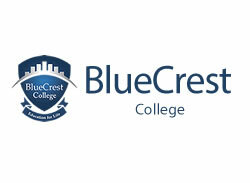 More than 200 business students of BlueCrest College, a private university in Accra, have undergone a training programme aimed at equiping them with entreprenueral skills. The Training, Organised by the Business Students Association (BUSA) of the college, was geared towards preparing the students for the job market after graduation. Speaking to the Daily Graphic after the programme, the President of BUSA, Mr. Derick Nii Kpakpo Addo, said the rationale was to create an avenue for the students to interact with the prefessionals. He said most of the students never had the opportunity to meet with successful entrepreneur to mentor them. "They finish school with little knowledge on how to begin a business. Some of them do not even know which ideas will sell and where to implement them," Mr. Addo said. According to him, one of the reasons why most graduates "do not find entrepreneurship attractive is because they have not been properly trained and taught about how to begin". Touching on the areas the training programme covered, he said the students were taken through how to translate ideas into businesses, form partnerships and also set standards for their businesses. "Resource persons from different fields were brought in to educate the students on the basic guidelines on setting up a business," he explained. It was on the theme "Empowering African Youth towards Entrepreneurship". The Associate Dean of the School of Business, Professor Eva Esther Shalin, said the institution was determined and prepared to expose students to the practical aspects of what they learnt in the classroom to enable them have an idea of how the labour market operated. She said more programes would be organised in the coming months to position the students well for the job market.